In a stunning natural setting on the road to the Atlas Mountains, Riad Bledna combines the charm of a traditional Riad with that of a villa completely surrounded by nature. The warmth of this family run world is reflected in the warmth of the colours and decoration. Created by master craftsmen under the watchful eyes of Mohamed and Kay, this is where modernity meets the traditional, using skills drawn from both the mountain and city cultures. 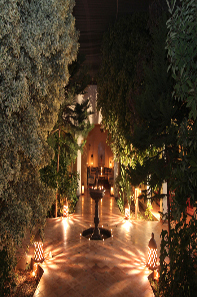 The effect is at once energising, romantic and serene – and the décor is no less exciting than the cuisine. 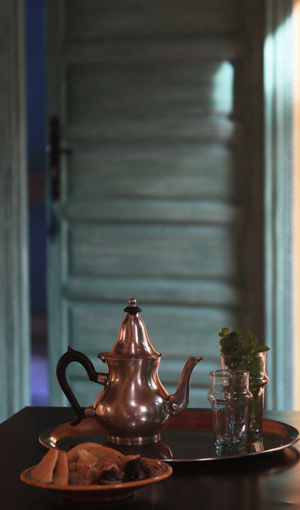 Service with style and a smile is the watchword here at the Riad. 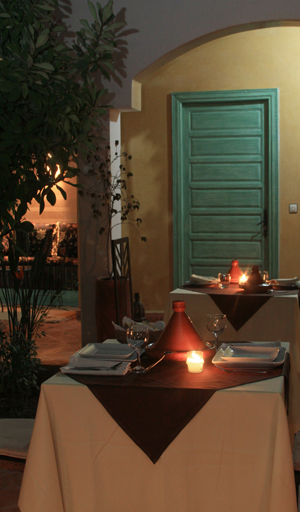 Mohamed’s devoted team is both courteous and discreet and at Riad Bledna, our cook, Hanane, proves the saying that food made at home is the best. 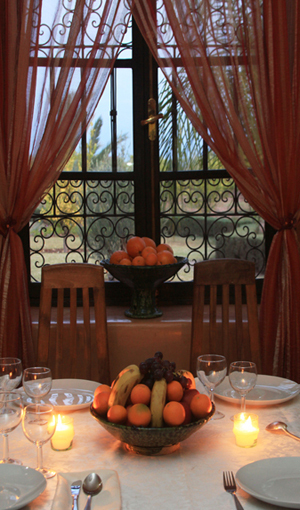 The delicious flavours of Moroccan cuisine, as fresh as the lemons, grapefruits and oranges from the Riad’s orchard garden, will lend a special experience to your stay. Breakfast looking out over the garden itself or take a cooling swim before dinner in our infinity pool. privilege to welcome you to our world.